but is actually an assassin placed there by the Britannian Emperor under orders to kill him should he ever recover any memories of being Zero. Rolo is unsociable and reserved, unlike his older brother, a trait which does not gain him many friends at school. While working with the Britannian Secret Intelligence Service, he is aloof and doesn't seem very interested. He often stays in the background and simply listens and isn't afraid to be very blunt about their faults. While Rolo puts up a front of being withdrawn, this exterior hides a ruthless and detached killer who will do whatever it takes to complete his mission. 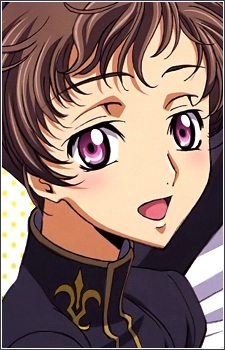 Despite his attitude towards the mission, Rolo is devoted to Lelouch. Lelouch's year without memories show him and Rolo quite happy, particularly when Lelouch gives him a heart-shaped musical locket as a birthday present, which he keeps attached to his cellphone. His attachment to the locket is such that he refuses to return it even when Lelouch tries to reclaim it. It is also clear that he has also been heavily affected by his time with Lelouch. Because of this, he is easily manipulated into believing that Lelouch cares for him and thus follows his orders without question. The yandere is a frightening character archetype that has been gaining increased popularity within anime fandom in recent years. What is a yandere and why do some people find them so attractive?